No matter the city, state or even the country they work in, the brave men and women of law enforcement deserve only the best equipment. 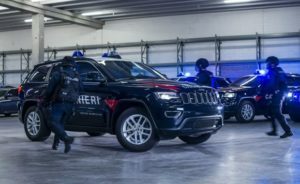 Thanks to 19 new Jeep® Grand Cherokee special service vehicles, the anti-terrorism unit of the Italian Carabinieri police force has just that. 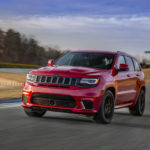 This special fleet of Jeep Grand Cherokees is powered by the European-market 190-hp 3.0L V6 Multijet diesel engine, which is mated to an eight-speed automatic transmission. Each vehicle is four-wheel drive and is painted in Carabinieri’s institutional blue livery. 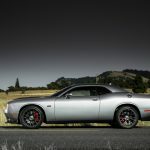 Key parts of these vehicles have been armored for service, including the windscreen and side windows, tires and body. Additionally, the suspension components have been reinforced to enhance on-road handling capabilities. The end result is a tactical vehicle capable of ensuring top-level safety for operators while offering outstanding mechanical reliability to successfully take on any mission. The upfits are not all structural. 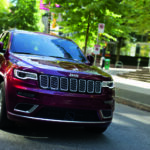 Each special service Jeep Grand Cherokee is equipped with the advanced technological systems used by the Carabinieri, such as the Odino system, which connects in real time to the joint databases of the Italian police and the vehicle registration authorities. The system runs on a 7″ Android tablet and is conveniently placed on sliding tracks located on the dashboard. 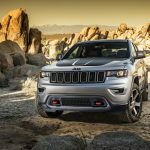 These 19 Jeep Grand Cherokee special service vehicles reinforce the historic partnership between the FCA Group and the Carabinieri. The relationship was born after World War II when all patrol cars in the Carabinieri’s fleet were from the Alfa Romeo Brand. 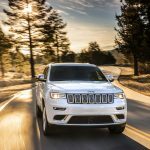 The new Jeep Grand Cherokees join the Renegade and the Wrangler SUVs already in service with the Italian police force.